We all know how essential quality website content is. However, continually producing content that meets high quality standards while still meeting performance goals can become an overwhelming challenge when working with clients who haven’t yet jumped on the content marketing bandwagon. Here are three major problems that must be overcome before your clients can create content that not only captures attention, but also holds that attention and uses this engagement to convert customers. An unclear definition of quality: If I had a dime for every blog post that advised firms to create quality content, I could outspend the federal government. But, if I had a dime for every post that defines quality content and clearly explains how to create it… well, I’d have trouble affording a daily cup of coffee. If we don’t understand what quality is, how can we produce it? Content indifference: For the vast majority of small and midsize firms, it’s all they can do to keep up with the day-to-day work flow. Few have the luxury of on-staff writers. On top of that, many such firms are sales-driven, so coaxing a marketing story out of them can be like pulling teeth — and at times, more painful. Poor content creation processes: Agencies like to complain about clients in regard to this point; but truth be told, we don’t always do a very good job of helping clients through the content production process. Our agency has been working hard on our own efforts to overcome these barriers to quality, so here I’ll share what we’ve learned, as well as a few techniques that have been helping us improve our results. I’m sure those of you in the CMI community have many insights on this question (and I hope you will share them in the comments section, below), but for the purposes of this post, here’s my simple, three-part definition. is jargon-free: Since customers aren’t necessarily in your industry, they don’t want to decipher your lingo in order to understand your offerings. is written in an appropriate style and voice: If your customers are large financial investors, a certain degree of elegance is required in your communications, while if you are looking to reach people who work in more of a blue-collar industry, straightforward and to-the-point language is likely the way to go. stimulates a response: When you overhear someone speaking about one of your favorite hobbies, it’s likely that your first impulse is to engage in the conversation — or at least feel like you could. The discussion has struck a chord and piqued your curiosity, making the interaction more personally relevant and potentially rewarding to you. 2. Quality content has a business purpose: A popular theme in content marketing is storytelling. I’m all for telling stories, but every story needs one thing: a point. The point of a business story is to persuade a customer to take action. It might be a hard action, like placing an order, or a soft action, like downloading a PDF. But, on the whole, customers visiting a business site have a business purpose in mind, and they expect to be engaged in a business conversation. If your clients fail to meet that expectation in favor of simply creating content for entertainment value, consumers may get the joke, but they certainly won’t take them seriously when it comes to becoming customers. 3. Quality content is easy to find and share: More customers will see the great content you’ve written on behalf of your client if they are able to run across it on Google or on one of their social networks. So be aware that there’s a basket-full of writing techniques out there that can increase the reach of your client’s content. SEO: By optimizing content your client has created, you make it easier for Google to find it, rank it, and display it in customers’ relevant searches. Don’t let anybody fool you into thinking SEO is no longer important in our social media-focused world — it is essential, now more than ever. Social optimization: Speaking of social media… when it comes to SEO, content marketers are likely familiar with meta tags — title tags, html header tags (H1, H2, etc. ), description tags, etc. — written elements that are not seen in your content itself, but that can have a major impact on its popularity and findability. Think of the composition of tweets, Facebook shares, Google+ shares, and the like as social media equivalents of SEO meta elements — off-page content that enhances your ability to get your quality content in the hands of those who want it. As an agency or service provider, you probably aren’t in a position to demand that your client hire a professional writer or take a class in marketing. However, before you dive into your next project, you can offer a bit of coaching to set the wheels of quality content creation in motion. For starters, walk the client through the above definition and parameters of quality content. As content marketers, we should never assume that what we know is common knowledge. If clients are unsure what quality content is, or have a faulty understanding, they won’t know what information to supply so you can write the right stuff. In terms of process, start by laying out a definition up front that establishes a standard against which all draft content can be evaluated. The extra work you do in advance here will prove invaluable as the project unfolds by speeding up edits and revisions, and by keeping edits focused on issues that matter — rather than tangential problems that do nothing but cause delays. It elevates the brand: Great content gives people a great impression of your company. It contributes to a prospect’s decision on whether or not to do business with you. It increases brand awareness: SEO-friendly and social-friendly content gets seen by more people who may interested in what you sell. It helps generate leads and referrals: With more people able to find your content, and with your content designed to stimulate action, you’ll have more opportunities to make sales. Plus, your sales team can use your site content to assist in the sales process, which can sometimes make the difference. It increases customer loyalty: When your content conveys that you understand your customers and appreciate their problems, you build trust and confidence. More importantly, you make it harder for a competitor to lure your customers away. It differentiates your business in a powerful way: Customers and prospects continually check you — and your competitors — out online. If your site content is comparatively lame, what does that do to your lead generation and customer retention? People naturally gravitate to businesses that offer superior content experiences. Give clients three to five pages of content to review early in the project. This gives you and the client a chance to feel each other out on how the editing will flow, and enables you and the client to get comfortable with the writing style before you proceed with creating content for the full project. Is the content factually correct? Does the style suit your customers? What do you like most about this page? Let customers know what type of feedback you do not want to receive. In particular, we like to remind customers why keyword phrases are used in certain ways, and why typography and layouts were structured the way they were. 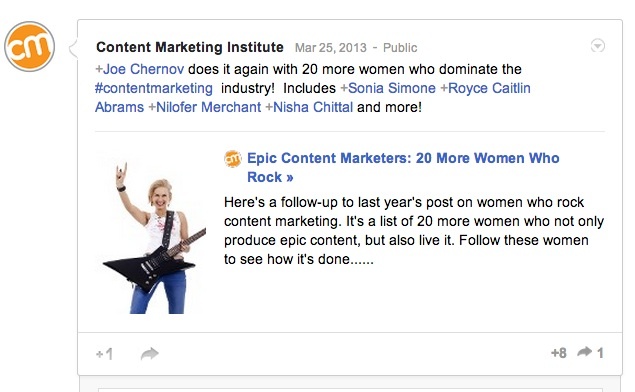 Notice CMI tags various Google+ community members to get this post on their radar and encourage them to share it across their own networks. It also uses a meta description and post description that build interest and give people a reason to read the post. Writers should be given some latitude in adhering to the wireframe, but even so, having this as a reference point allows them to focus on writing rather than agonizing over structure. 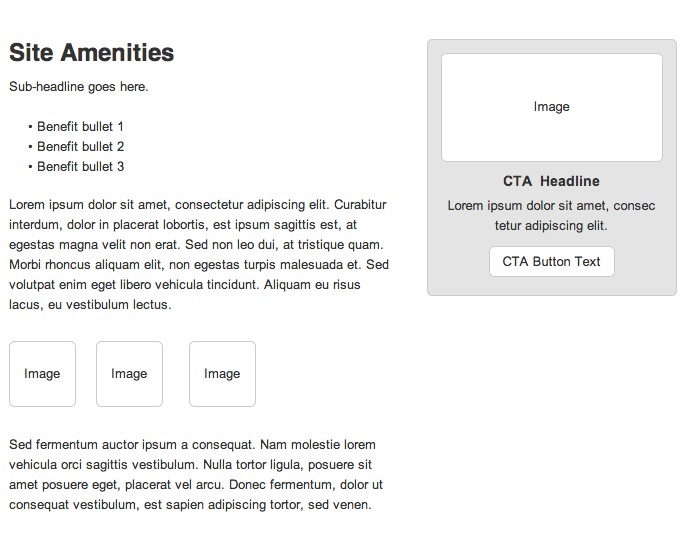 In addition, wireframes make it much easier to write consistently across the many sections of a content project. The amazing thing about this site is that after a quick scan, you easily picture the type of customer who loves Duluth Trading — the high-quality, high value content makes it crystal clear. What’s your definition of quality site content? What are your recommendations for working with clients to produce quality site content? Learn more processes you can use to promote quality content creation among your clients by joining the conversations taking place at Content Marketing World 2013. Brad Shorr is Director of B2B Marketing for Straight North, an internet marketing agency headquartered in Chicago. He is an experienced content strategist, respected blogger, and SEO copywriter. Connect with him on Twitter @bradshorr.